Gray is so not my color. Don’t know how runway models look bomb wearing all gray top to bottom! But this girl is not at all a big fan of gray. And then here I am! 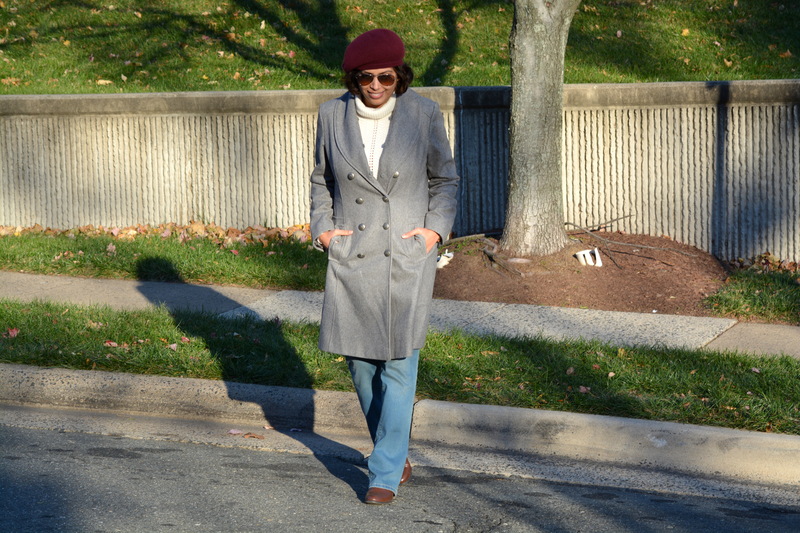 Wearing neutrals and this long gray coat. You see I am a little helpless here.. since this is the warmest coat I own. I wear it on days when it’s extremely cold outside and I ‘have’ to step outside (which is daily considering the fact that I have a 9 to 5 – five days a week job). Days when the cold is unbearable. This coat is so warm and soft, I hate wearing it but then I love wearing it. You see what I mean. It’s a love and hate kinda relationship! This particular day was also very, very cold. I normally like wearing skinny jeans in winters but then lately I feel bored of wearing the same old skinny pants over and over. Hence, I went for a little change and pulled out my trustworthy bootcut pair of jeans. 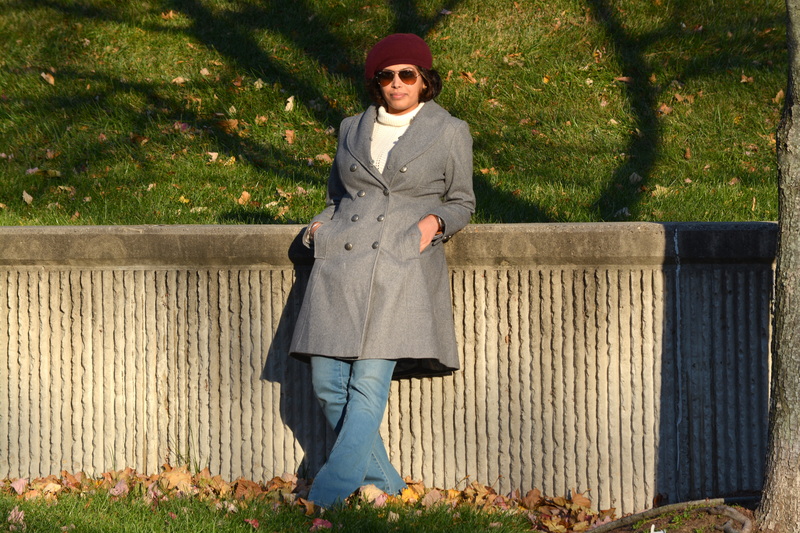 And voila.. A beret covered my (another) bad hair day, and the sunnies hid my underslept eyes! There you go. That’s the look baby!! (If you are thinking why did I even bother to do a photoshoot, well I am asking that myself..!!) 😛 Why Ritika?